The baseball season is long, made interminable by an onslaught of demoralizing defeats. In that way, the Phillies season has been longer than that of any other team. While its hard to ever shake the feeling that wins and losses are what matter (and they are), it’s important to celebrate the victories that won’t show up in the Win column. 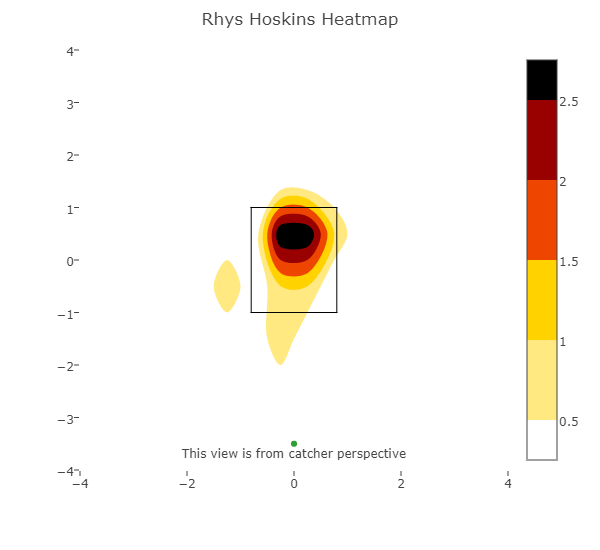 Among the things we should celebrate, there hasn’t been anything more worthy of our attention than the performance of the highly anticipated Rhys Hoskins. The last I wrote of Hoskins was several weeks ago. He had a single hit in 16 PA, registering a .327 OPS that even a pitcher would be embarrassed of. 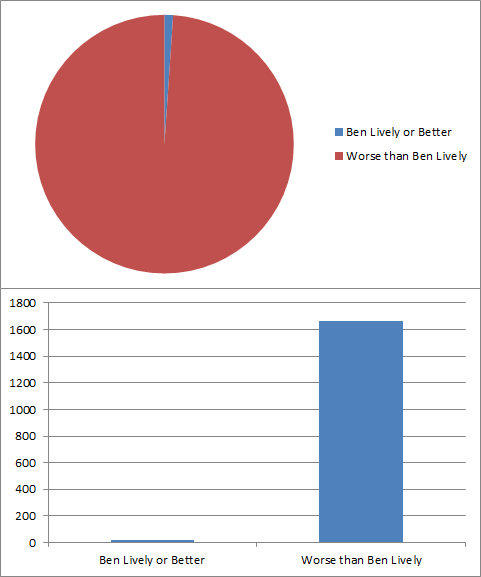 That slow start has made what he’s done since even more surprising. 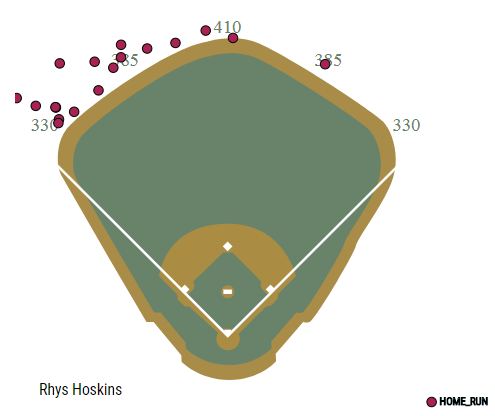 Since August 14, Rhys Hoskins has hit 18 home runs. 18. Home runs are good (I’ve been told), and Hoskins has become quite familiar with that particular brand of goodness lately. He’s the fastest player to 18 home runs in baseball history (34 games, previous record was 45 by Gary Sanchez). While baseball hasn’t been going on for hundreds of years (Rhys…), it has been going on for a long, long time. There has literally (not figuratively) never been a batter off to a hotter start than “The Beast”. He’s homered in 5 straight (tying Chase Utley’s franchise record set in 2008), and on 8 straight game days. (The second game of a double header, he didn’t homer. Were it not for this game, he would have tied Ken Griffey Jr’s all-time record of 8 straight games with a home run). Let’s take a look at his dingers. He’s clearly established his pull power (the lone opposite field homer is his 18th). These shots are pulled with authority – the average exit velocity on these blasts is 102.8 MPH. Somehow, this is being reported as only going 445 feet. I believe it. After all, Rhys hit that ball so hard that it bent time and space, rendering any attempt to measure the home run useless. 445 seems as good a guess as any. So where’s Rhys’s hot zone? Pretty much where you’d expect it. He’s crushing balls that are middle-middle and slightly elevated. Good hitters punish mistakes, and the past month, Rhys has looked beyond good. All this isn’t to say that Hoskins is this good. Nobody is this good…but I think The Beast has done more than enough to supplant Tommy Joseph at first base. This hot streak has instilled confidence in fans and analysts – not just his ability to hit for power, but his patience (his 24 walks in 33 games tie the all time mark for most walks to start a career) and contact rate (making contact with 96% of pitches he swings at in the zone) are elite or near elite. You can’t luck into playing this well. Put Dom Brown comparisons out of your mind. Rhys Hoskins is the real deal. Rhys Hoskins hits a home run every 8.2 PA.
Out of 31,185 player seasons, this is the best home run rate of all time. 2nd is the 2001 Barry Bonds season, in which he hit a homer every 9.1 PA en route to a 73 home run season. Games 116, 117, 118: @SD. Loss, 4-7; Loss, 4-8; Loss, 0-3. Mark Leiter, having gone 9.1 IP with 16 K’s in his past two relief appearances, was given a chance to prove himself in the starting rotation. It didn’t go smoothly – he was charged with 8 runs (4 earned) in 5 innings pitched. Given the injuries to the rotation, the Phillies don’t really have a choice but to keep letting him work things out on the fly. Following up this effort was Nick Pivetta, who harnessed his stuff and struck out 11 Padres. Sadly for Pivetta, the Phillies offense was unable to muster anything against Clayton Richard, who pitched the shutout and gave Pivetta the L. Hoskins homer count: 3. Games 119, 120, 121, 122: @SF. Loss, 4-5; Loss, 2-10; Win, 12-9; Win, 5-2. The Battle For The Basement ended in a draw, with each of the two worst teams in baseball taking two. The 12-9 victory is noteworthy in that it was 12-4 until the bottom of the 9th. Edubray Ramos (the pitcher who’s name you’ll hear years from now and think, “Oh yeaaaaah, I remember him”, a la Ethan Martin) allowed 5 runs in the bottom of the 9th. Bright side? This meant that Hector Neris was able to get the save. Every extra save will help Neris get paid when he’s in arbitration. Hoskins homer count: 2. Games 123, 124, 125, 126: vs. MIA. Loss, 8-12; Loss, 4-7; Win, 8-0; Loss, 8-9. That the Phillies scored 8 runs three times and lost two of those games tells you all you need to know about this season. There are bright spots on the position side, but unless the shore up the rotation, the team will not be competing for much. Hoskins homer count: 3. Games 127, 128, 129: vs. CHC. Win, 7-1; Loss, 2-17; Win, 6-3. 17 runs is the most Phillies pitching has allowed since June 10, 2007 (A game which – surprise! – they also lost). The Phillies pitching staff of that game is a veritable “who’s who” of “who’s that”. Games 130, 131, 132: vs. ATL. Win, 6-1; Loss, 1-9; Loss, 2-5. With their second loss in the series, the Phillies were mathematically eliminated from the playoffs. “Yes, Dave. They weren’t going to make the playoffs. This is news?”, you might be thinking. No, it isn’t news – except that they were eliminated from the playoffs, and it’s August. The Phillies record also fell to 49-83. Meaning that even with an undefeated (and record shattering) September, the team will still finish below .500. The question, then, isn’t whether or not they will finish below .500, but whether or not they will finish below 100 losses. Side note: Promising pitcher Jerad Eickhoff made his final appearance of the year, going 2 innings before being pulled. The issue was said to be his hand. His MRI came back “pretty clean”, but they decided to shut him down anyway. No use taking risks in a lost season. Games 133, 134, 135, 136: @MIA. Win, 3-2; Win, 2-1; Loss, 9-10; Win, 3-1. Hector Neris recorded the save in each of the victories. Neris has run a 3.11 ERA and 20 saves out of 23 opportunities, but those numbers don’t properly relay the perilous adventure that many of his outings have become. In the 3-2 victory in particular, he hit a batter, allowed a single, and walked the bases loaded before finishing his high-wire act out. Neris is a solid piece of the bullpen, but his strand rate (82.9%) is due to regress – he isn’t the shut down reliever that can be trusted with the game on the line. Along with the rotation, the bullpen will need to be bolstered next year. Games 137, 138, 139: @NYM. Loss, 7-11; Win, 9-1; Loss, 3-6. The lone win of the series came with Ben Lively on the mound (and highly anticipated prospect J.P. Crawford in the lineup making his major league debut), who not only limited the damage with his pitching but also did some damage of his own. A 2-run home run and a 2-run single put the game out of reach. Through 21 PA, Lively has a 117 wRC+, which isn’t just “good for a pitcher”, but “actually good”. To put that in perspective, here’s where he ranks among the 1,681 pitchers since 2000. The Phillies 3-6 loss was weather shortened. That’s not all that unusual, but it is unusual just how much it was shortened – Phillies pitchers ended up throwing only 5.1 innings and the game lasted 1:53. By innings pitched, this is the shortest game since May 16, 2009 (5 IP). Those 5 innings in 2009 took 2:16, though, so if you experience time the same way I do (forward, constant rate), then you’d consider the 2009 game to be longer. By actual duration, this is the shortest game since May 11, 2006, which went 5 innings and took only 1:37, or exactly one viewing of Tommy Boy. Games 140, 141, 142, 143: @WSN. L, 3-4; L, 10-11; W, 5-4; L, 2-3. The theme in this series was “One-run” games. In keeping with the season long trend, the Phillies lost 3 out of the 4 contests. The Phillies have a 0.364 W% in one-run games, last in the majors and 8th worst in franchise history since 1901. Our old pal Ryan Madson got the save in the third game. After battling injuries for several seasons, it’s nice to see him back on the mound and pitching effectively. I just wish it didn’t have to be against us. 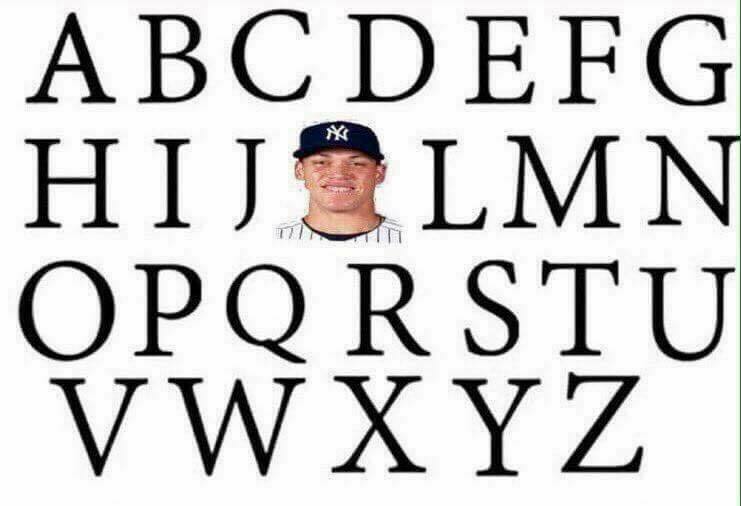 Aaron Judge, as you may now by now, is a favorite subject of this page. Tape-measure home runs will endear you to many. At one point, he was chasing the all-time rookie home run record (49, Mark McGwire). He’s faded in that regard, but that hasn’t stopped him from being consistent in another way – striking out. Aaron Judge now has the all-time record for most consecutive games with a strikeout, which stretched to 37 games before being snapped. I did not make the following image but I sure as hell can share it. Where Judge has faltered, Stanton has swelled – he’s now reached 54 homers. That’s the most in the National League since Ryan Howard’s 58 in 2004 (and the most in baseball since Jose Bautista’s 54 in 2010). People see Judge’s struggles and point to the home run derby. Counterpoint: Stanton. Sometimes, pitching perfectly isn’t good enough. Rich Hill knows this well – on August 22nd, he pitched 8.1 innings of perfect baseball before an error ended the bid for perfection. Still, the no-hitter was in play (In no small part due to Chase Utley’s unreal play. Dude can still field). Unfortunately, the Dodgers couldn’t muster a single run through 10 innings, so Hill went out for the bottom of the 10th, faced one batter, and lost the game on a walk off homer. There’s tough luck losses, and then there’s this. Yankees and Tigers had quite the brawl. It’s a little complicated to get into how it happened here, so here’s the story. Have fun, if you like that kind of thing. For the first time in baseball history, there was a “Players Weekend”. In addition to cool alternate jerseys, player’s last names were replaced with nicknames. While some players didn’t play along (“Nola” is not a catchy nickname), others took full advantage of the opportunity. No nickname was better than Aaron Altherr’s, who went with “A-A-Ron”. Classic. Minor Leaguer Taylor Davis might not be a prospect, but he has 80 grade comedic timing. Ryan Howard. You probably never expected to read those words on a Phillies blog in 2017. But here he is, still trying to prove his worth. Currently in AAA with the Rockies. At 37, he still has a flair for the dramatic. Enjoy this blast from the past. For years, the Kansas City Royals have been defying the odds and winning, despite what the projections have said. This year, it seems their luck has finally run out. Nothing gets this point across than their scoreless streak – 45 straight innings without a run, which came up 3 short of the all time record. Baseball is America’s pastime, but sometimes, Koreans do it better. Clarke’s third law states: “Any sufficiently advanced technology is indistinguishable from magic.” Perhaps, then, Boston could’ve claimed it was “magic” and not “Apple watches” that helped them steal signs from the Yankees.